Like many cities, London has a serious problem with gridlock. According to Eurostat's Urban Europe report, the city has the worst congestion in Europe — an average commuter there spends 101 hours in traffic every year. An obvious solution to this problem would be to upgrade or expand the existing tube, train, and bus networks to be more efficient and far-reaching, so that more locals use mass transit. 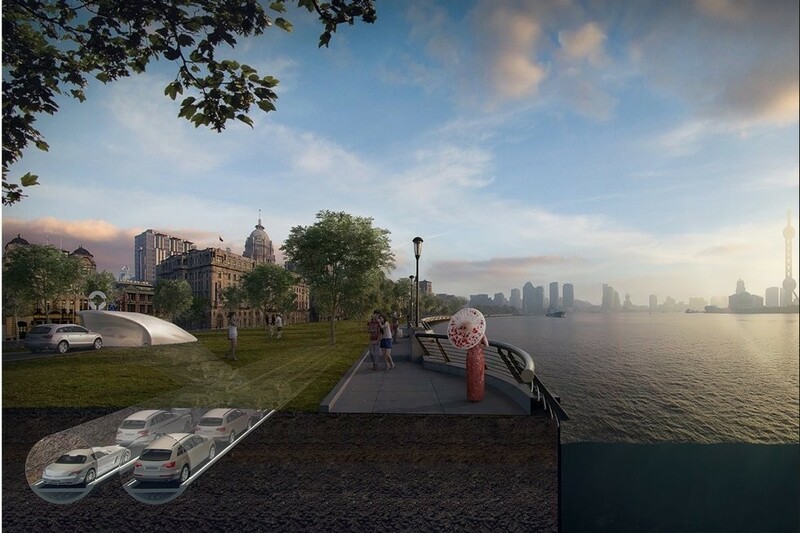 But PLP Architecture, a London-based firm, is proposing a more radical idea: moving vehicles underground. 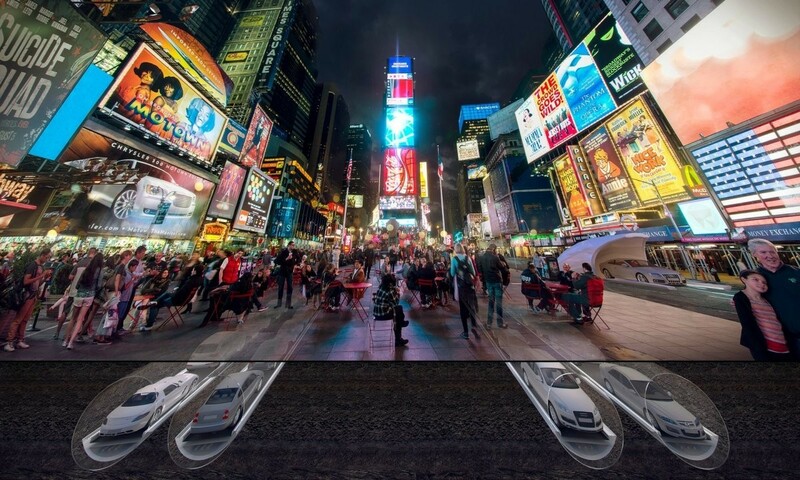 Called the CarTube, the firm's concept envisions an underground tunnel of automated, conveyor belt-like tracks. Cars in the tubes would travel a steady speed of 50 mph, so there wouldn't be stop-and-go traffic, PLP's director of research, Lars Hesselgren, tells Business Insider. That would allow the network to cut down commute times by up to 75%. PLP wouldn't disclose an estimate for the CarTube's cost, but said it could be built at a fraction of the price of Crossrail, a new high-capacity, 73-mile (117 km) railway that's under construction in London and the southeastern UK. That project received £14.8 billion ($15.7 billion) in funding. There are no immediate plans to build the CarTube, but Hesselgren says the firm is talking with a number of partners, including Google, about the concept. He estimates that if the tube were to be built, construction would take less than a decade. The CarTube would be a 15.5-mile network of tunnels for automobiles, in which each car would be spaced spaced between .6 and 1.2 miles (1-2 km) apart. Hesselgren says the system would be located 33 to 98 feet (10- 30 meters) below ground level to reduce congestion. The CarTube tunnels would connect to the existing streets. Drivers would just drive onto the tracks, which would slope down to bring them into the tunnel. The system could accommodate 400 cars per hour, he says. Since the automated tracks would carry riders at a uniform speed, the CarTube could cut down an hour commute to nearly 15 minutes, Hesselgren says. In their proposal, the architects call it "the next best thing to teleportation." ... and New York. Putting cars underground would also free up more street space for pedestrians, Hesselgren says. While the idea of underground auto tunnels is intriguing and futuristic, however, investing more heavily in the existing tube and bus systems would likely require less time, money, and energy than building a new piece of infrastructure. As the Guardian also notes, it's unclear where enough underground space could be found in London amidst the tube tunnels, train tunnels, and sewer systems. But Hesselgren argues that the CarTube would be quicker and more efficient than the metro. "This technology therefore seems worth investigating since it opens new opportunity for not only faster but vastly more convenient system," he says. "Extra capacity will certainly be needed by London in the future."